Are you one of those people who obsesses over your credit card rewards, constantly trying to determine which will earn you the most points or cash back in a given situation? If so, I don’t blame you – it’s hard to keep up with the ever-changing rewards structures set up by the credit card issuers. These days, nothing is straightforward. Take the Chase Freedom card, which utilizes rotating bonus reward categories. This quarter (October – December), which actually begins on September 15th, you can earn 5% cash back at hotels, airlines, Best Buy and Kohl’s. As if it’s not already confusing enough, the quarterly rewards and the start date are actually a couple weeks apart, so you may not think you’re earning 5% cash back, when in reality, you could have made your big purchase earlier. In other words, you don’t have to wait until October to get 5% cash back at Best Buy for buying that mega flat screen TV. This is but one example of how complicated credit card rewards are these days. There are also certain spending limits in rewards categories, so once the bonus rewards are maxed out, it could make more sense to use another credit card instead. The credit card issuers make it sound like it’s easy to rack up bonus points and cash back, but in reality, you’re probably not using your credit cards as efficiently as possible. A new company called Wallaby Financial aims to clear up the confusion, make your life easier and earn you more money, all at the same time. How? Well, they’ve created a system that keeps track of all your rewards credit cards simultaneously. 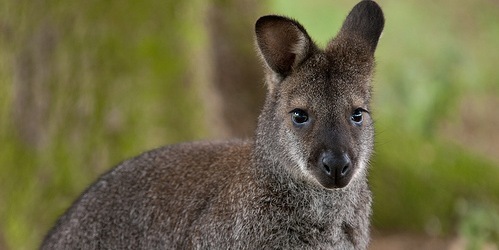 In short, you tell Wallaby what credit cards you currently carry, and they determine which is best to use in any situation, on any day, automatically, based on your unique preferences. Then instead of using your individual credit cards, you use the “Wallaby Card” whenever you make a purchase you’d normally make using one of your existing credit cards. 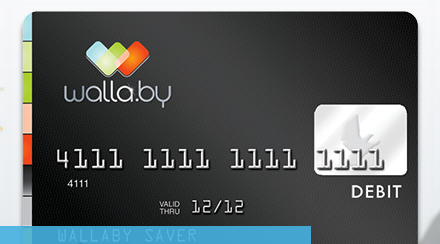 At the time of purchase, Wallaby’s über fancy computer system determines which card will maximize your savings and you laugh all the way to the bank. You don’t have to worry about specifying which card you want to use at checkout (Wallaby does that), and you continue to pay your credit card bills just as you normally would. Nothing really changes, except perhaps that you only need to carry a single credit card in your wallet. There’s always a catch right, especially when it involves money. Well, Wallaby’s awesome new idea doesn’t come free of charge. They are currently charging $50 per year to use their service, which they “know you’ll make up for” in increased cash back and/or points. During the first six months, it’s free, so I suppose you can test the service during that time to see if it’s actually making you some money. But you have to wonder if it makes sense for everyone. Unless you’re charging a considerable amount on your credit cards each month, it’s doubtful the $50 service charge will be recouped. It may also promote opening up more credit card accounts than one would need, and could complicate matters if you have eight different credit card bills to pay off each month. 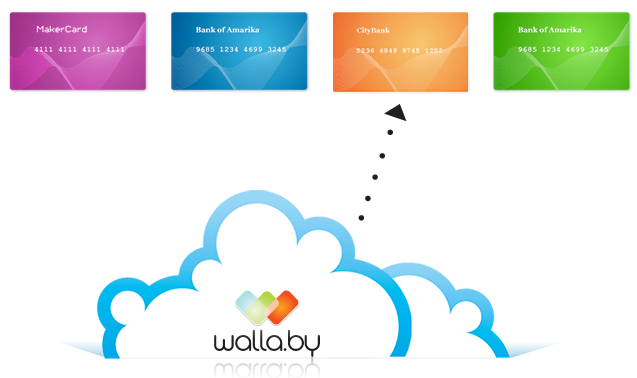 That said, Wallaby may want to create a system that pays off all the associated credit cards in one place as well. At the same time, if you’re the type that charges everything, and carries multiple rewards cards, it could result in huge savings, not to mention cut out a lot of legwork. All in all, it’s a great idea (and long overdue) and it’ll be interesting to see some hard numbers once more users have beta tested the card. If it appears that cardholders are saving some real money, I may even be tempted to use the card. This is so awesome. When will they actually release the Wallaby Card? I want it! Good question, not sure if the technology is there for it to happen just yet, but I’ll keep readers posted.